Order today and save £14.00 off the RRP of £42.00 in Woodlore's Sale. SealSkinz Waterproof Trekking Socks are a heavy weight, mid length waterproof, windproof and highly breathable sock designed to be worn next to the skin. They are the thickest and warmest socks made by SealSkinz, and feature a heavy-gauge knitted outer and a soft merino wool inner. They are the ultimate socks for your adventures in cold and wet weather conditions, providing reliable protection when added insulation is imperative. SealSkinz Waterproof Trekking Socks is rated 5/5 based on 5 customer reviews. These are incredible. Amazed out how well they work. Wearing them in the wet is a pleasure, knowing your feet will be snug makes you want to get out there. As well as rain and water it does a super job in snowy conditions. These and the Thorlos KLT Hiking Socks are with me on every trip. I wear these socks most mornings while canoeing and my feet are always dry. I only really noticed just how good these socks were when my walking companion complained of how sweaty his feet were after two days of hiking. I realised that I had not even noticed my feet for the previous two days as they were so warm and confortable. It then struck me just how unusual this was, and how grateful I was to have that feeling. Whilst I have not yet experienced them in the wet, their performance in allowing my feet to breathe in hot weather gives me great confidence that they will do what they claim in the wet - now it just needs to rain. They feel quite strange at first due to the laminate structure, but after a matter of seconds my feet only felt the merino wool inner. I am very glad I finally have some socks up to the task of strenuous outdoor work and activities. I have used Sealskinz before and they are great. I work outdoors 24/7 and have never suffered from wet feet while wearing these. You can handle wet trousers for long periods but wet feet just gets you down especially in the Winter months. I had been pondering my footwear options for a while before buying these socks. 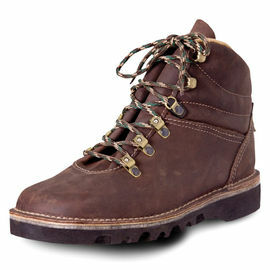 My final decision was influenced by the fact they they were cheaper than a new pair of waterproof boots! My first impression upon seeing them and trying them on was that they were too small (I am a size 10), as my toes seemed to be up against the end of the socks. I was concerned enough to take a spare pair of socks with me when I wore them in anger for the first time, which was on a dry walk of around 8 miles. I was immediately reassured to find that not only were they comfortable, but for the first time I can remember on a winter walk my feet were actually warm. I usually walk with a thin inner under my hiking socks but these go against the skin, which took a bit of getting used to for a heavy sock. I was unable to test the waterproofing, hence a 4 star review, but I am sure that day will come in which case I shall report anew. SealSkinz kit is not cheap, but I take the fact that Woodlore supply them as warranty enough of their performance and quality; warm dry feet are happy feet! 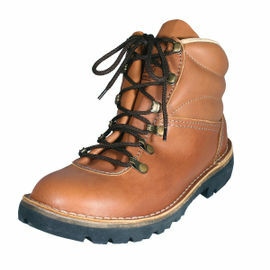 Bought these as didn't have any waterproof boots - went fishing from a boat in the Oregon winter. They did indeed keep my feet dry all day long - although my feet were fairly cold as the running shoes I wore got wet. Not the sock's fault though! My fault for not having insulated boots.